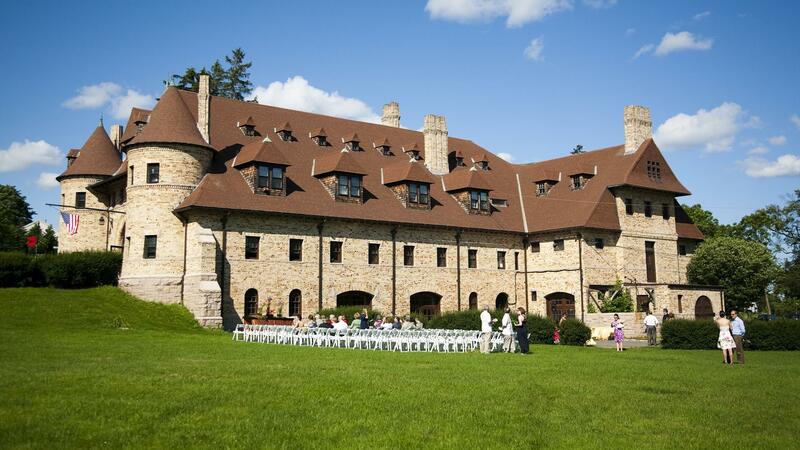 Rent Larz Anderson Auto Museum | Corporate Events | Wedding Locations, Event Spaces and Party Venues. The Larz Anderson Auto Museum is the perfect setting for a corporate dinner, cocktail party, or wedding reception. The entire 1888 Anderson Carriage House may be rented any available date. Also, Voted by The Knot as one of the Top 10 Boston Museums for a Wedding. The entire 1888 Anderson Carriage House may be rented any available date. You will have access to all public galleries, which are open at the time of your event. For groups up to 130, dinner and dancing take place in the majestic Main Gallery amid the Museum's priceless automobile collections and historic artifacts. There is no separate "function room," so you and your guests may fully experience all the Museum has to offer. A staff member is on duty throughout the evening to assist you. There is plenty of free parking, and the Great Lawn is available for larger groups requiring a tent.